Eyebrow Tip No. 7: Finish With Brow Gel Here's your last step in mastering how to shape eyebrows like an ace. After you've successfully filled in your brows, use a brow gel to hold them in place. Starting in the middle, brush the hair straight up, then pull the outer section (the tail) outward. 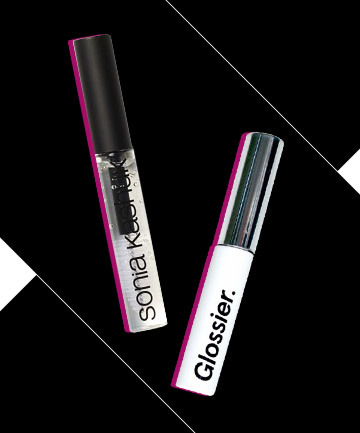 Try Sonia Kashuk Brow Gel, $5.99, or Glossier Boy Brow, $16, which has a thickening formula and comes in three tints.